Over the years there have been constant inquiries from students about whether or not any written material exist on Shin-Toshi. Since the system is still so very new in so many ways, the answer has previously been, “No”. As the years passed the need for two things became very obvious if an Association for Shin-Toshi was to be established. First, was that a National Headquarters had to be built and second that a manuscript had to be written to document Shin-Toshi as well as organize the system. Organizing the system meant categorizing and systemizing all facets of training in Shin-Toshi using martial arts methodology to define the system, so as to give Shin-Toshi a true martial identity. Consequently, in 1986 the custom built facility that is now the National Headquarters for Shin-Toshi was completed and in 1993 the NATIONAL Shin-Toshi ASSOCIATION REFERENCE MANUAL was copyrighted with the Library of Congress. The subtitle on the manuscript reads “a biography of the first documented American Martial Arts System”. The birth of the name Shin-Toshi came about as follows with the growth and recognition of Shin-Toshi the martial sport soon to follow. The hyphenated term for the system was jointly agreed upon by its original founders Mickey Fisher and Bob Jones. It was Mr. Fisher who decided that the term “shin” ought to be in the name of the style. The term “shin” having synonymous meaning in Japan, Korea, and China for “mind”. For example it would show various similarities in translations as “new mind”, “new form”, or “new way”. It was Mr. Jones who discovered the term “toshi” which comes from an old English word “tosher” meaning “unaffiliated with any other style”. By hyphenating the two words the original founders had themselves the name of their new style. The growth and recognition of Shin-Toshi as a martial sport came during the Progressive Era in American Martial Arts. To better understand this reference a quick look at karate historian, writer, and teacher Dr. Jerry Beasley of Radford University in Virginia might be helpful. The Traditional Era (Mid 1950’s – Mid 1960’s) American martial arts emphasizes conformity, with few practitioners or competitors breaking with tradition. The Progressive Era (Mid 1960’s – 1972) Competitors introduce concepts and develop new fighting methods; Americans become recognized as competent fighters and instructors. The Contemporary Era (from 1972) Evolution can be traced to prominent fighters of the Progressive Era. The reality of combat is synthesized through the introduction of contact competition and the introduction of innovative safety equipment. During the 1970s, the karate tournament scene is introduced to Shin-Toshi. Consequently, within a few short years Shin-Toshi’s growth and development was set in motion right at the right time for that period. 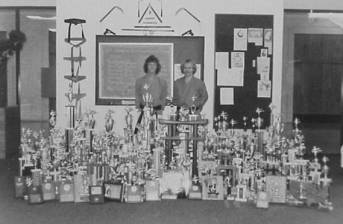 The picture below is an example of Shin-Toshi’s phenomenal results on the tournament scene in the mid-1970’s. Mr. Fisher being on the left, and Mr. Shoffit on the right. The seventies were not only an important period for Shin- Toshi but it was an important period for Mr. Shoffit as well. For Mr. Shoffit was Shin-Toshi’s first Sho Dan in addition to being Shin-Toshi’s first Ni Dan. Setting the standard for Shin-Toshi during this period had a tremendous effect on his commitment to martial arts as did the entire decade of the seventies. For example, in 1972 Mr. Shoffit received his Sho Dan in Shin-Toshi after five long years of training under Mr. Fisher’s strict tutelage. In 1974, Mr. Shoffit graduated for North Texas State University. 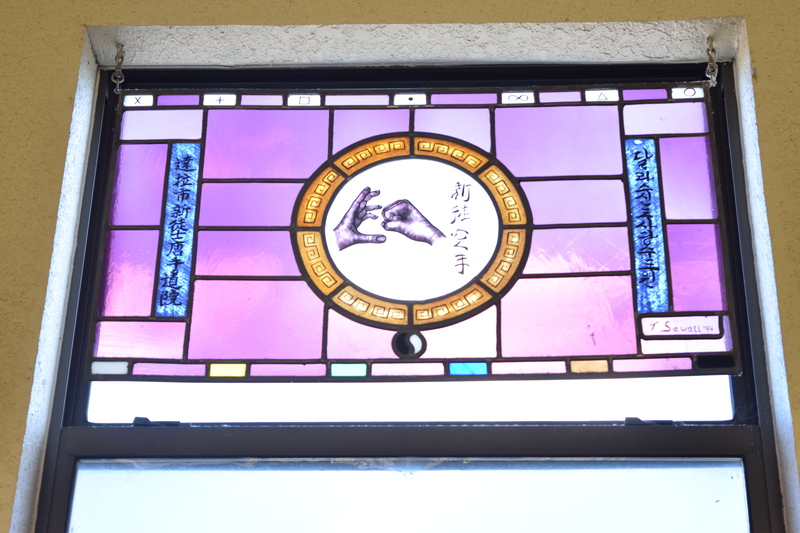 In 1976, Mr. Shoffit opened the first Shin-Toshi studio other than that of the original founders. 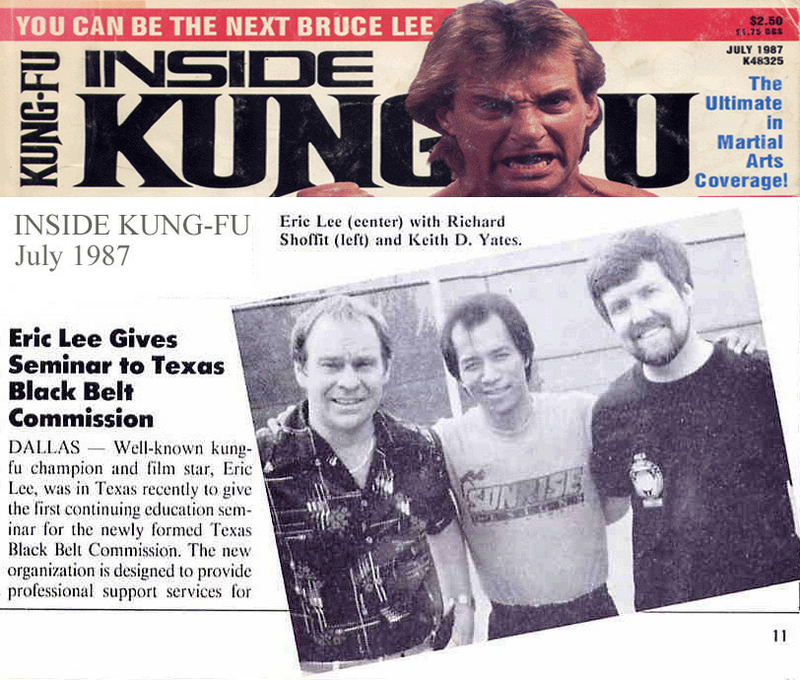 In 1977, Mr. Shoffit was introduced to Shihan Darrell Craig of the Houston Budokan. That introduction help bridge the grap from a local level of martial arts training to a state level. It also led to further study in swordsmanship (kendo and iai-do) as well as further more extensive training in weaponry (kubudo) beyond his original introduction. In 1978, Mr. Shoffit received his Ni Dan in Shin-Toshi. And in 1979 Mr. Fisher made his untimely exodus to Utah. That untimely exodus was quickly followed the same year by Mr. Shoffit’s introduction to Grandmaster In Hyuk Suh and soon after in 1982 to Dan Inosanto and Eric Lee. The three previous introductions helped Mr. Shoffit further bridge the gap from a state level to a national level in his training. 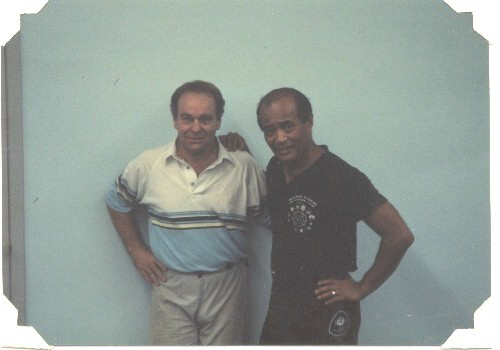 And finally the 1980’s brought continous opportunities to train with a variety of masters and grandmasters. All of these influences led to the emergence and the founding of the NATIONAL Shin-Toshi ASSOCIATION. To organize, document, establish the training standards for Shin-Toshi as truly America’s first martial art system, to perserve it, and what it stands for. During this same time period Mr. Shoffit was ask to provide a exhibition of martial arts on March 6, 1981, for Anheuser-Busch to help promote Greek Fight Night at the local Denton Fairs Grounds. Mr. Shoffit’s choice was an exhibition bout on kickboxing by two of Shin-Toshi’s black belts. Mr. Shoffit is introduced to World Champion Boxer, Joe Frazier. The special guest for that event was World Champion Boxer Joe Frazier. It was Mr.Frazier’s first opportunity to ever witness kickboxing. Mr. Frazier was so impressed by what he saw, he ask if the teacher (Mr. Shoffit) was present and wanted to meet him. After the introduction Mr. Frazier invited Mr. Shoffit to join their entourage. Later that evening Mr. Frazier and Mr. Shoffit spend several hours discussing boxing, martial arts, and kickboxing. Twelve long years of study under the founder was a mere stepping stone for Shin-Toshi’s growth and development under Mr. Shoffit. After over three decades of association with numerous masters and grandmasters has allowed Shin-Toshi to evolve from a martial sport to a martial art. Mr. Shoffit’s current teachers are Shihan Darrell Craig of the Houston Budokan, Grandmaster J. Pat Burleson, 10th Dan, America’s first karate champion. Most recently, Mr.
Shoffit along with Chris Klein, Shin-Toshi’s first MMA, trained privately in ground fighting, submission wrestling and stand-up under Grandmaster Ron Van Browning, 10th Dan, San Soo Kung-Fu and the Accelerated Fighting System until Mr. Browning’s relocation to Wisconsin in the fall of 2006. To further organize all of the martial influences it was necessary to balance the system. To help establish a balanced system of martial arts that is “complete” but not finished so as to give Shin-Toshi opportunity to grow. As Shin-Toshi has evolved over the years it has taken on still other obvious appearances. Shin-Toshi does not fall into the hard, linear category of martial arts or into the soft circular category. Rather, it includes both hard and soft technique. Shin-Toshi should be considered an eclectic as well as traditional form of martial study on the part of the individual. Shin-Toshi recognizes all forms of martial hybrids, such as sport or competitive styles (tournaments, w/restrictions), theatrical or gymnastic interests (pre-arranged performances), and self-improvement or martial health styles (tai-chi, qigong). In addition to martial fitness (tae-bo), martial combat (daily military field survival), and martial defense (street fighting), there can also be a martial diet, a martial library, martial cross-training, martial athelete, martial stylist, etc. Shin-Toshi adheres to the universal principles of “centering”, “flow”, and “countering”. These universal principles are reinforced with a further training and understanding of such principles as contraction – expansion, crossing – redirecting, and thrusting to name a few. It is the study of principles that make Shin-Toshi uniquely martial. All of these areas of training allow an individual to develop a balance between hard and soft body mechanics which is required for development of proper martial technique. Mr. Shoffit’s founding of the swordsmanship, weaponry, and groundfighting into Shin-Toshi, along with the Shin-Toshi Reference Manual (complete with a constitution and bylaws) help to give the system and the association strength and stability. The custom built training hall give the system and the association a home to grow and thrive in. As president of the NATIONAL Shin-Toshi ASSOCIATION, Mr. Shoffit continues to oversee and direct all facets of training in Shin-Toshi. During the 1990’s the standard for black belt in the NATIONAL Shin-Toshi ASSOCIATION were molded and tempered. For example there are 4 phases of black belt from 1st Dan to 7th Dan. Training guidelines are clearly listed in the two-page requirement chart. Yet Shin-Toshi still retains the original foundation for black belt as required by its founders. That includes running 5 miles prior to the test itself. Additional running requirements for higher Dan ranking are included. One major change is that The NATIONAL Shin-Toshi ASSOCIATION will no longer award a black belt to someone who does not possess swordsmanship skills. For the simple reason that swordsmanship skills have been an integral part of martial arts training in all Asian countries throughout history. And if one looks at European history it can be found there too! And if you look to the future, it is depicted in George Lucas’ Star Wars trilogy. Further details on Shin-Toshi and other related subject matter are contained in the reference manual. The first 25 years of Shin-Toshi under Mr. Shoffit’s guidance have been an opportunity to lay a solid foundation for America’s truly first martial arts system. It is hoped that the next 25 years will be just as productive. That the individual martial skills and personal martial development on the part of the student will help to preserve Shin-Toshi in the new millennium and what it stands for. Given Shin-Toshi’s past, present, and future direction, along with the arrival of the internet, the new millennium will allow Shin-Toshi to emerge as truly….America’s best kept martial arts secret! The Denton Academy of Martial Arts and the National Shin-Toshi Association offer the most prestigious martial art rank anywhere, documented and copyrighted as truly America’s first martial arts system.